Meeting environmental, health and safety regulations helps keep your workers safe and protects the environment. Doing so effectively also safeguards your project timelines and budgets, and helps your company maintain a reputation as a reliable construction partner. Working with a third-party environmental health & safety and occupational health and safety (EHS/OHS) consulting firm can increase your success factors. Below are guidelines on how to work positively with an EHS/OHS consulting firm, which are based on our firm’s experience in supporting builders here in Ottawa and across Canada. We find that while project owners tend to be well aware of the need to meet EHS/OHS regulations, many still fail to integrate those considerations into their timelines and budgets prior to a project commencing. It is important to anticipate issues such as the need to deal with potential hazardous materials like asbestos or hydrocarbon-impacted soil, and realize that there will be expenses and time involved in managing these materials. Being unprepared to deal with these concerns may absorb much of the buffer built into your costs and timelines. However, you can avoid potential problems by considering the required EHS/OHS issues in a project during the planning and budgeting process and then factoring these issues into your tendering documents. It’s also possible to mitigate this issue by taking advantage of online and in-person courses making workers and supervisors aware of current issues in health and safety and environmental protection. Many EHS/OHS consulting firms offer these courses. Consulting with your EHS/OHS partner can be a low-cost, high-return investment. Your EHS/OHS partner can provide recommendations based on a walk-through of the site and examination of available documents such as site historical records. Doing so will help alert you to potential problems. If the project is a renovation or demolition, it is important to have an EHS/OHS firm examine the property after previous users of the building have moved out in order to identify hazardous materials that may be present. There are many methods available to efficiently conduct a thorough inspection and provide material analysis. For example, this may involve controlled demolition of drywall walls and fixed ceilings to see how much asbestos is in the walls and on pipe insulation, or drilling test holes in the soil to check for contaminants. These procedures can determine if there are concealed hazards present. This type of inspection provides early warning of potential problems that might have impacts on the costs and schedule and allow you to make required project planning adjustments. Like any business professionals, your EHS/OHS advisors can provide you with a wide range of advice and counsel rather than just performing a task that allows you to tick a box on a permit application. This can include alerting you to new regulatory issues and public concerns – such as the increasing emphasis being placed on the dangers of silica dust, which can be produced any time concrete is cut, broken, drilled or polished. Environmental and safety regulations vary greatly. For example, many municipalities have their own regulations on what kinds of waste can go into their landfills. Project owners in the Ottawa-Gatineau area need to be concerned about how regulations in Quebec differ from those in Ontario. There are also specific regulations that apply to federally owned buildings that may be more stringent than their provincial counterparts. New changes to the Canada Labour Code Part II and documents produced by Public Service and Procurement Canada have changed some of the regulations surrounding asbestos in federally owned or leased buildings. Project owners should consult with local experts to avoid confusion and issues resulting from these changes. The role of the EHS/OHS consultant on major construction, renovation and demolition projects is emerging. Working with these professionals is a key aspect keeping your workers safe, protecting the environment keeping your project on time and on budget. 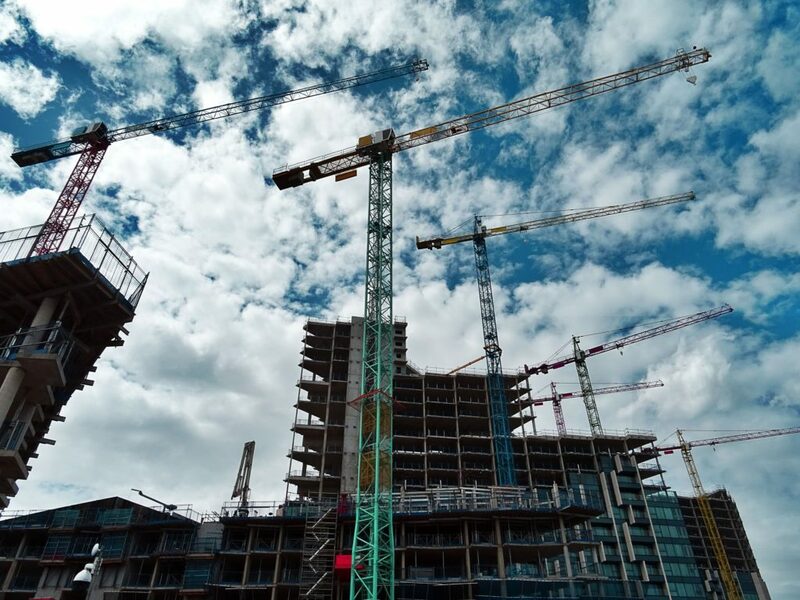 This article was written by Kevin Schmidt, Operations Manager in the Ottawa office of EHS Partnerships Ltd. (kschmidt@ehsp.ca) and Glyn Jones, Partner in the Calgary office of EHS Partnerships Ltd. (gjones@ehsp.ca).